I’m pretty sure whenever you pick an image to use on social media, you want it to be one that will stop people scrolling, scrolling, scrolling and just stand out? You want to wow people so they notice you and your business? You want to stand out and you want to create impactful imagery don’t you? But just HOW do you do that? How can you make a massive impact in seconds? Think about the emotion you want your customers to feel. Selecting the perfect image to convey just the right level of emotion is crucial in your marketing. Do you want them to feel excited, happy, sad, calm, transformed? Align your visual content with your textual content can have a massive impact on how people react to your posts and your calls to action. Think about what you wanna make them do – jump into action – what will make them do that – connect with them emotionally. It doesn’t always have to be people – what about nature, animals, objects? If you talk about standing out – what about using a chameleon. Making a point about be calm, try using a calm and still sea. Mention the word free spirited – what about using an image of a kite flying high in the sky. Excitement, what about considering an image of a rollercoaster loop? You get the idea!!! When we talk about graphics ‘popping’ what we really mean is contrast – it’s about drawing the attention of the eye. Capturing your customer’s interest, standing out and being different. Choose images that connect with your customers. If you’re a coach use images of transformed, happy people. Dog groomer? Use images of dogs and their owners, people walking their dogs, silly things dogs do. Hand-make skin care? Use images of the craft of skin care making, results of people who use it. Behind the scenes of you making the products. The tools to make it. How to use each product. And the list goes on. 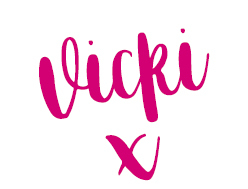 Choose images, or if you have a great phone, then use your own camera – phones are super powerful these days – then use photos that have heaps of space to them – you can overlay your own text or your own logo and website. You’ll capture the imagination of your customers too and create a level of mystery. Sometimes less is more and by leaving it simply untouched, your customer will be intrigued to click on it to find out more. These are tried and tested ways to engage your audience and make a memorable impact – exactly what you need . 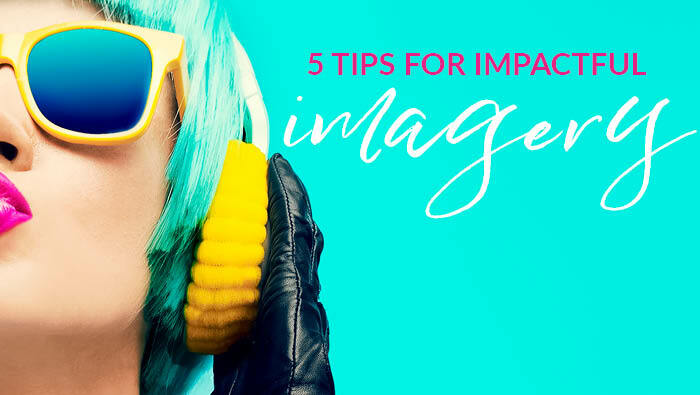 These 5 tips for impactful imagery will help you stand out from the crowd and the competition!